← The Summer Solstice came in on the wings of thunder! 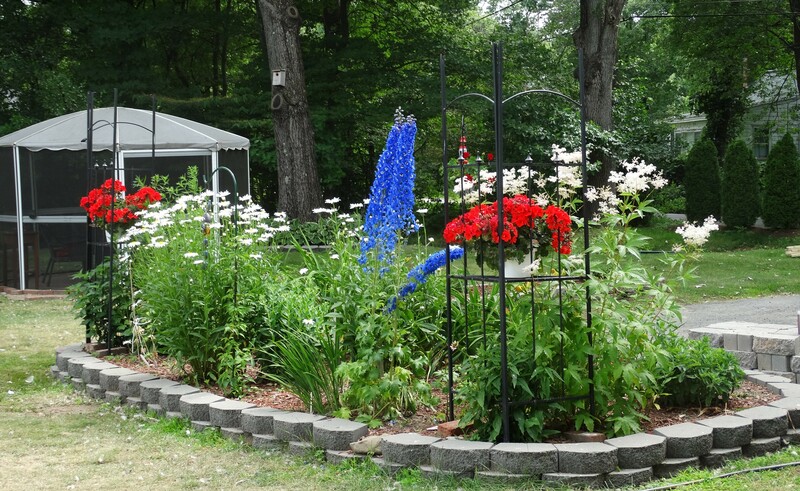 How cool that Mother Nature dressed my garden for the festivities. Even the beetles got dressed for the occasion. 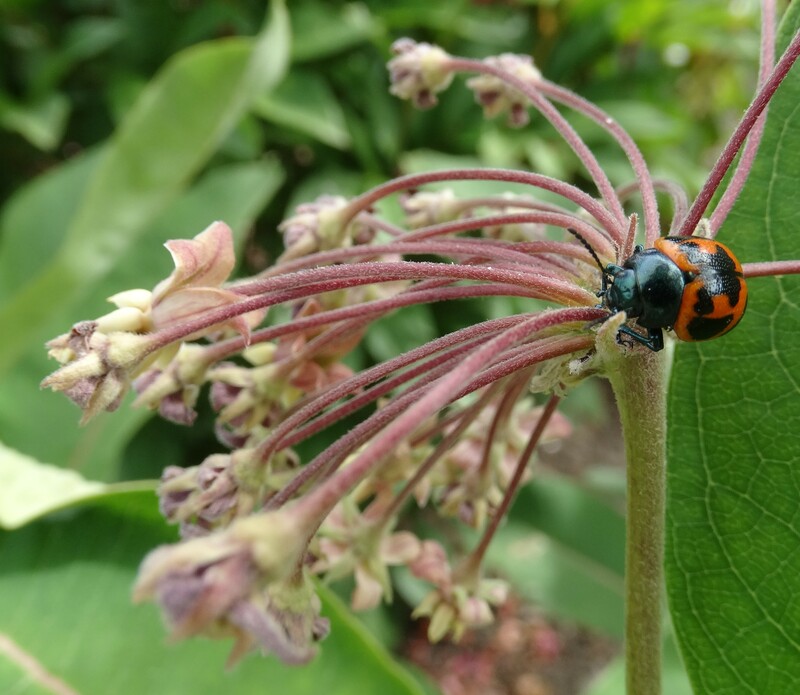 I don’t have a clue what kind of beetle he/she was but he/she was sure enjoying the milkweed. To help celebrate the fourth, a mama hen stopped by with a new little chick.. 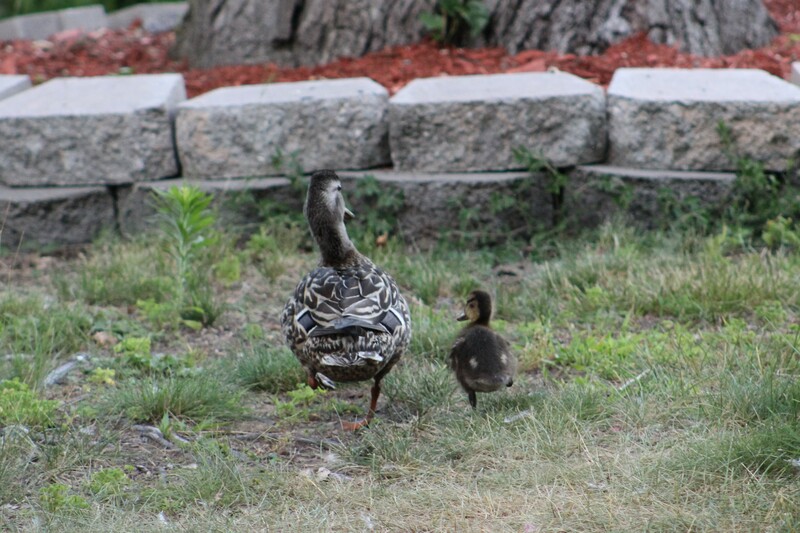 They have both their legs–they’re just walking and checking out the yard. Okay, you had to know this was going to be here! Gallery | This entry was posted in Life on the Concord River and tagged birds of the Concord River, black-capped chickadees, blog about a single woman, blog about birds, blog about ducks, blog about living on a river, celebrate the fourth of july, chickadees, common songbirds of Massachusetts, Concord River Lady, facebook tinthia clemant, flycatchers, life on the concord river, living on the Concord River, Mallard chicks, River Lady, riverlady, single woman living on a river, stories about living on a river, stories about living on the Concord River, The Summer of Annah, tinthia clemant. Bookmark the permalink.